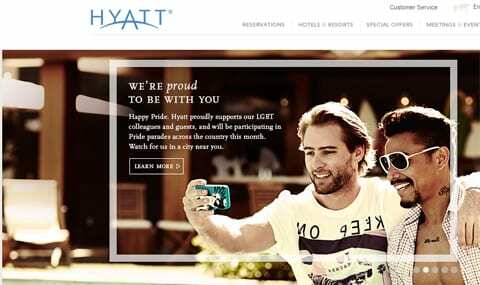 Throughout the year, Hyatt is committed to the LGBT community and its allies. In fact, we were honored for the tenth consecutive year as one of the few “Best Places to Work for LGBT Equality” – a result of our 100 percent rating on the Corporate Equality Index by the Human Rights Campaign. We were also the first major hotel company to offer domestic partner benefits and has included sexual orientation in our Equal Employment Opportunity policy since 2000, and gender identity since 2002. Here at Hyatt we truly believe everyone should be comfortable and proud of who they are, and we welcome you to share with us your pride with #InAHyattWorld.